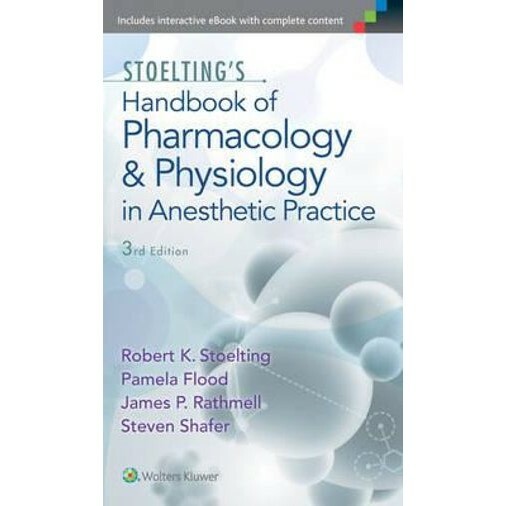 Get trusted anesthesiology guidance in a compact, high-yield source with Stoelting's Handbook of Pharmacology and Physiology in Anesthetic Practice. Updated from the Fifth Edition of Stoelting's Pharmacology and Physiology in Anesthetic Practice, this handbook provides succinct, current, and accurate information on the pharmacology and physiology that are relevant to anesthesiology, equipping you to deliver safe and effective perioperative patient management. Focus on the information you need thanks to a quick-reference tabular format. Easily turn to the parent textbook for more in-depth information thanks to an organization that mirrors Stoelting'sPharmacology and Physiology in Anesthetic Practice.